There’s a moment in ‘Spa 700’ where you find your bearings, just barely: the tempo solidifies, a melody emerges and stanzas form. 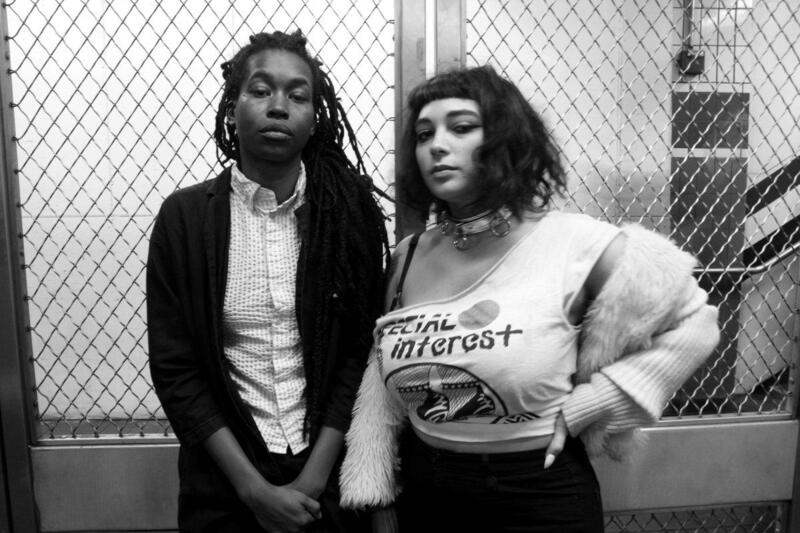 Then you realize that only four minutes have passed since the beginning of this fourteen-minute release from Philly musicians DJ Haram and Moor Mother. ‘Spa 700’ is challenging and ferocious. DJ Haram constructs evocative and fragmented rhythms that recall her upbringing as a child of Middle Eastern immigrants, while Moor Mother threads her diasporic narrative through impossible contortions of time and scale. The line, “color line, bloodline, landmine/ keeps us all apart’, avoids sentimentality by virtue of its politicized historicity. It’s a fantastic phrase that demands attention. Moor Mother has called her style of poetry ‘Slaveship Punk’, invoking an imperative for material analysis of culture that goes back to the scene of the crime, so to speak. It works well with DJ Haram’s similarly forensic process of creating music. The artistic success of ‘Spa 700’ bodes well for any future collaboration the two might produce.